There are several, smaller books within this book. The majority of the poems in grit salute are read as part of a sequence; most based around an ethnographic encounter with a city or a region. 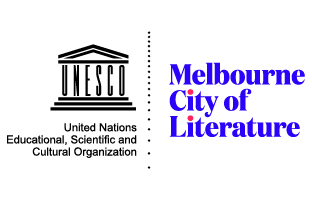 ‘Hygienic Italy’ is Rome, ‘Triggering Town’ Wagga Wagga – the regional city in which Glastonbury grew up – and ‘Queen of the Hills’ is a series of poems as ‘letters home’ written during an Asialink residency in India. With this weighting towards various ‘elsewheres’, the volume attests to the finer-grain attention motivated by travel and by living in different countries. However, this is not a book centrally about travel. Its different sections, brought together as they are, are as much to do with an experience of time, and as such, with getting older and with generational difference. 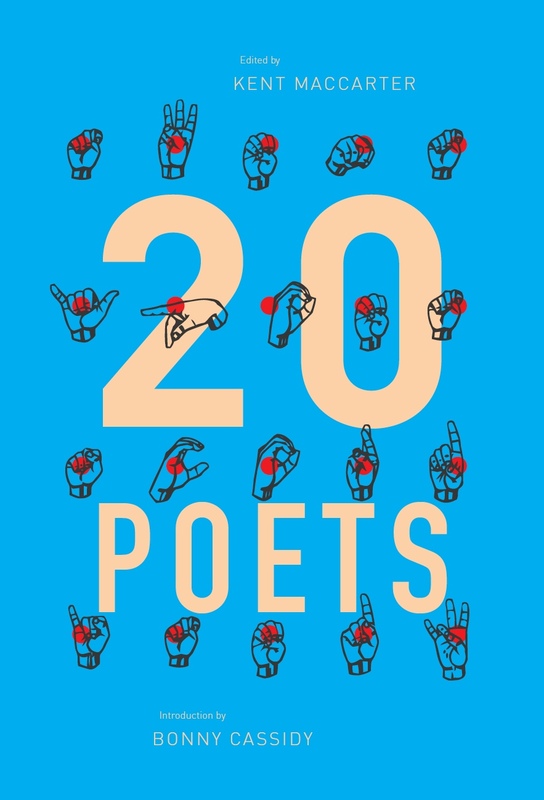 The poems are heavily marked by the loves and preoccupations of the poet at different times, beginning with the early Saturn returns poems (‘Ah pain, you turned me 28′), as much as they are by the geographic locations in which they were written, and which the writing is often an encounter with. The title of the collection may be a salute to John Forbes’ poem ‘Salute’, which in turn salutes James Schuyler’s (which ends, ‘I salute / that various field’). A practice of honouring or acknowledgement in different ways becomes apparent, in dedications, quotation, attributions set outside the text of the poem, and, for one mashup poem, a complete bibliography. ‘Grit’, understood in the sense of a particulate material, suggests the title of the book refers to a distributed sense of salutation. 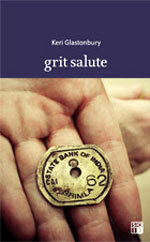 The book’s cover image of an open hand holding a metal token, juxtaposed against the title, would figure the salute as a process of exchange –and thus, change – rather than military submission, whose logic is more of the same. In terms of influence, the bibliography of Australian poets on page 27 (provided as a companion to the mashup poem discussed later in this review) provides a useful summary of relevant names. To these we would want to add theoretical influences: Kathleen Fallon’s Working Hot – for the possibility of a local feminist writing both theoretical and corporeal that it opened up (as MTC Cronin has written in a poem published in Cordite Poetry Review, one of Glastonbury’s achievements is, ‘getting the body – orifices and all – / onto the page’) – and the counter-generationalist stance, and open-source approach to culture more broadly, represented by Mark Davis’ Gangland. This entry was posted in BOOK REVIEWS and tagged Keri Glastonbury, Tim Wright. Bookmark the permalink. Tim Wright currently lives in Melbourne where among other things he reads and writes poems and is researching a thesis to do with contemporary Australian poetry.